Rana Kumbha, the builder extraordinaire, is credited with building thirty-two of the eighty – four fortresses that formed bull work of defense of the Kingdom of Mewar, constantly on its guard against the Mughal Armies. The deluxe suites and rooms here recreate delightful themes of jungle lore. Discover countless secrets of the centuries past while you explore nature trails, forts and temples. Or simply relax in the privacy of your balcony, gazing into the amazingly blue skies. Let Kumbhalgarh overwhelm you. Chowka (the word means ‘kitchen’), the multi-cuisine restaurant at The Aodhi! Our chefs at Chowka will lay out sumptuous spreads for you through the day and night as you soak in the sights and sounds of Kumbhalgarh. At Chowka, let our chefs make you discover the delights of ethnic cuisine. 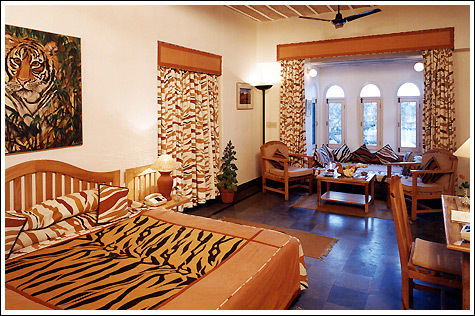 As you explore the nature-trails and the fort, you can relish these offerings served with warmth and old-world grace. 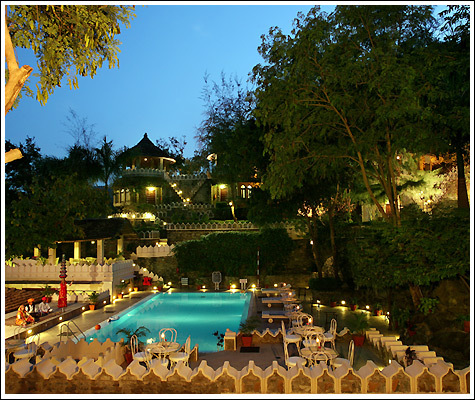 Chhapar (the word means ‘thatched roof’), the coffee shop overlooking the scenic hillsides and the swimming pool at The Aodhi. For the young and old alike, Chhapar offers a range of delights: beverages and snacks to suit the holiday-mood. You can energize yourself with fresh juices and shakes, as you soak in the sights and sounds of Kumbhalgarh.